A meeting is scheduled on Tuesday with the Gilas coaching staff and SBP officials. Aside from a practice timetable, what will be discussed is a workable solution to address the problem of lack of chemistry that was evident in the recent home games against Kazakhstan and Iran. Guiao said whatever is the consensus reached at the meeting will be endorsed to the PBA for approval. 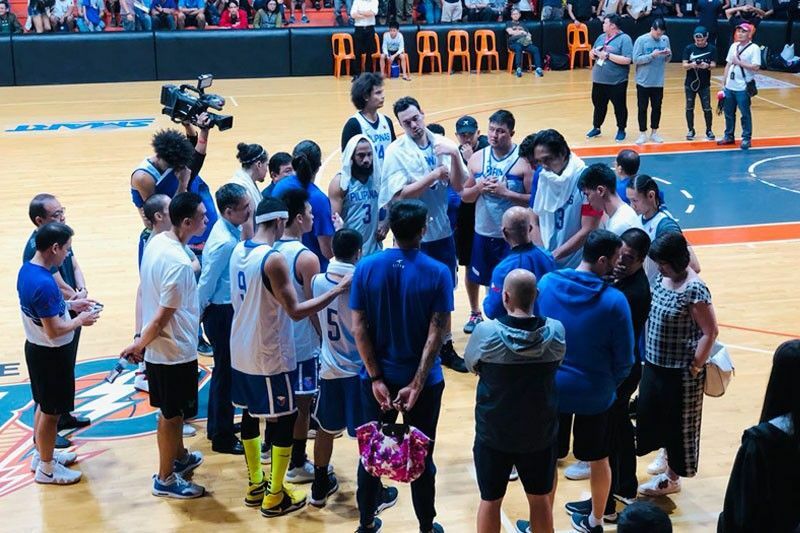 MANILA, Philippines — Gilas head coach Yeng Guiao said yesterday he plans to assemble a pool of a maximum 15 players for the sixth and last window of the FIBA Asia/Pacific World Cup Qualifiers with practice to start early next month for once or twice a week training before embarking on the daily grind. Losing to Kazakhstan and Iran at home in a tragic fifth window was a huge blow to the Philippines’ drive for a ticket to the World Cup. The setbacks were described as “shocking” and “unbelievable,” considering the Philippines blew clear chances to win but failed to execute down the stretch. Kazakhstan won, 92-88 last Nov. 30 and Iran took a 78-70 decision last Dec. 3, both at the MOA Arena. After a 4-1 start in the Qualifiers, the Philippines has now dropped four of its last five outings, slipping to fourth place in the Group F standings behind Australia (9-1), Iran (7-3) and Japan (6-4). Kazakhstan (4-6) is in fifth place. In the other bracket, Group E, New Zealand (9-1) leads the pack, followed by South Korea (8-2), China (6-4), Lebanon (6-4) and Jordan (5-5). At the end of the sixth window, the top three placers of each group advance to the World Cup. Since China has an automatic slot as host, it will not figure in the standings so that if the eliminations end today, Lebanon will claim the third slot in Group E. Aside from the top three finishers, the fourth placer with the better record in either group will make it. So far, the only countries assured of qualifying are Australia, New Zealand, South Korea and China. At the moment, Jordan is in fifth place in Group E so it will be elevated to fourth since China is relinquishing its position. Jordan has the same record, 5-5, as the Philippines and in the overall quotient, is +56 to Gilas’ -22. Jordan’s last two assignments are home games against China on Feb. 22 and New Zealand on Feb. 25. In Group F, the Philippines travels to play Qatar on Feb. 21 and Kazakhstan on Feb. 24. Japan will also see action on the road against Iran on Feb. 21 and Qatar on Feb. 24. Kazakhstan will host Australia on Feb. 21 and the Philippines on Feb. 24. For the Philippines, winning twice is critical. If Japan falters and winds up in a tie with the Philippines for third place, Gilas has the quotient advantage with +11. The Philippines will also monitor Jordan’s games because if they end up fourth in their groups, the team with the higher quotient qualifies. The Philippines has deployed 31 players in 10 games for the Qualifiers with Guiao taking over the national team from coach Chot Reyes starting the fourth window. Still under FIBA suspension are R. R. Pogoy, Carl Bryan Cruz and Jio Jalalon for one more game, Calvin Abueva for two more games and Kiefer Ravena up to August next year. Gilas has rotated three naturalized players – Blatche for six games, Stanley Pringle for two and Christian Standhardinger for two.